Pulangbato Falls: Spreading out its unique and extra special beauty. Finding out some words sometimes will catch our attention. We then want to personally know what fixed the name of certain things becoming their real name. 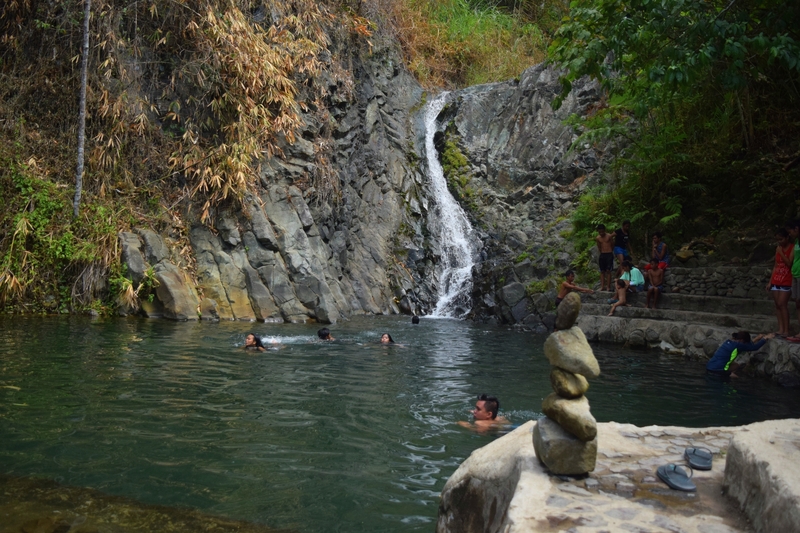 Pulangbato Falls is one of the most visited secluded falls in the province of Negros Oriental. 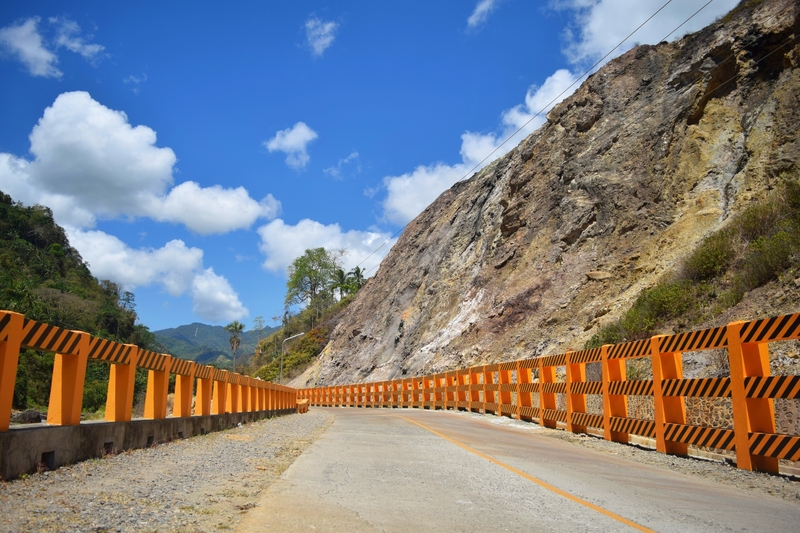 It is located in the Ocoy Valley in the town of Valencia, Negros Oriental. 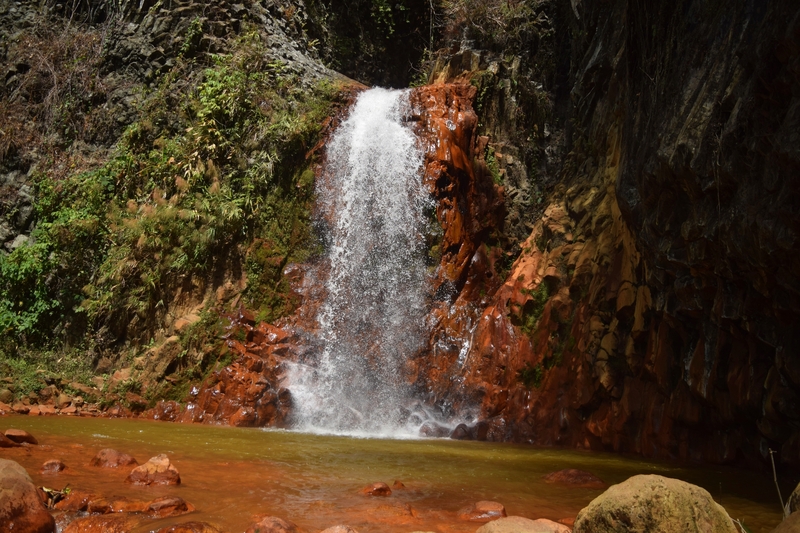 A cascade that blessed with serene and refreshing waters that pours down into a reddish water catching basin. With its breezy and tranquil environment, every adventure seeker would love to drench their jaded body and would fall in love to its innate beauty. The lulling sound that will appease the stress life in the bustling City. 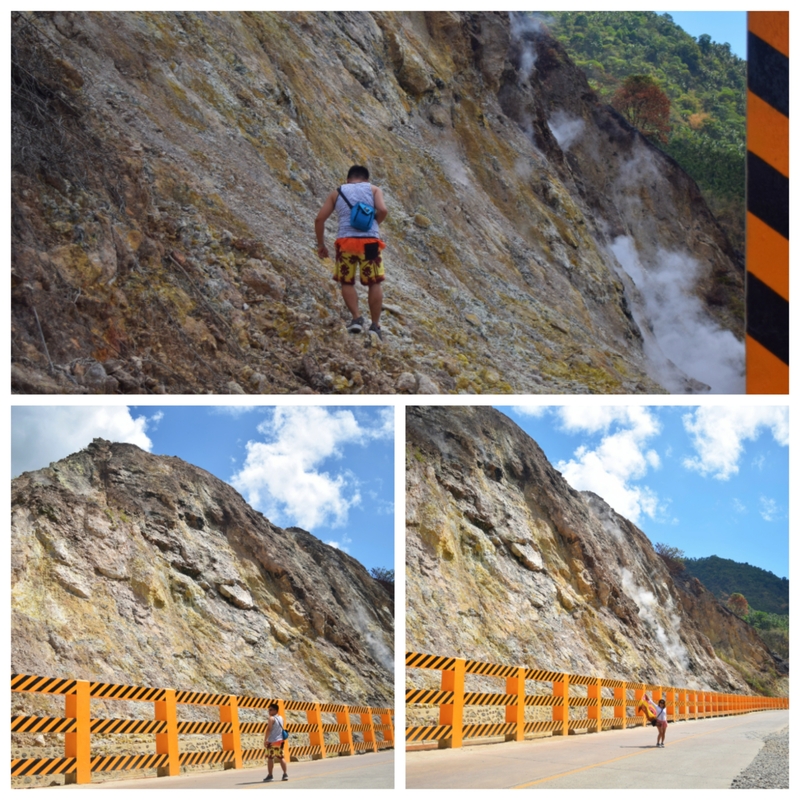 The road going to Pulangbato Falls is truly an escapade. You’ll see rivers, rocks that are unique in color and physique. You’ll as well be fascinated of the smoky mountains due to the presence of sulfur in the place. As we nearly reach to Pulangbato Falls, we were welcomed by a smell of sulfuric steam coming out of the mountains creating mini clouds on the side of the road. Me and my cousin decided to come down from the motorcycle and starting to get the best pictures as much as we can. I’m a naturally curious nomad in almost everything, and then I decided to climb on the folds of rocks and trying to dance with the smoky mountain while disregarding the strong smell of the sulfur fumes. 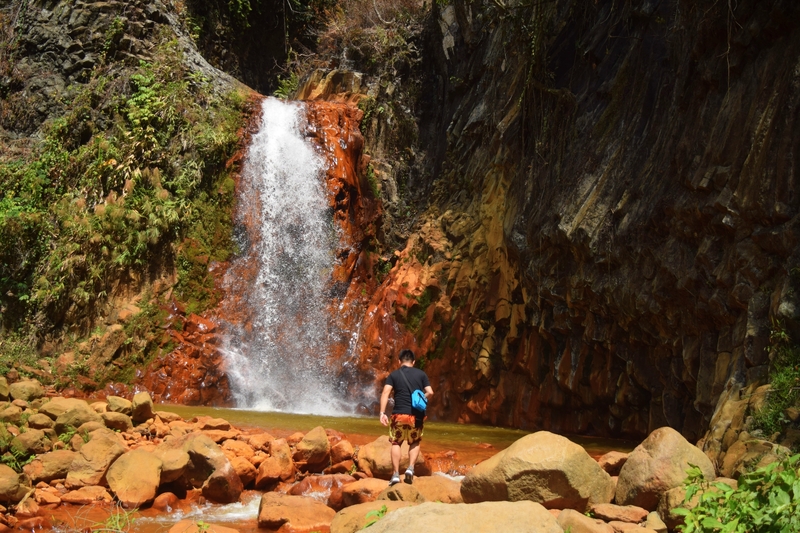 On that place, I am also starting to notice the red and orange rocks scattered in the river as it gives me the exciting feeling to finally seeing the promising Pulangbato falls. Soon enough we arrived at the Red Rock Spring Resort where the Pulangbato Falls is located, we were greeted by the fresh breeze coming from the mountains. I now heard the sweet voice of Pulangbato Falls as the water flows down to it’s catching basin coming from the lush green mountains. The area has rentable thatched cabanas open for day trippers. I as well noticed the concreted natural pool located right in the heart of the resort. But what we came here for is to experience the enticing beauty of Pulangbato Falls, my cousin and I was very excited to finally meet the falls. Only a few meters walk, the stunning beauty of Pulangbato Falls invited us to come closer and enjoying its natural beauty. 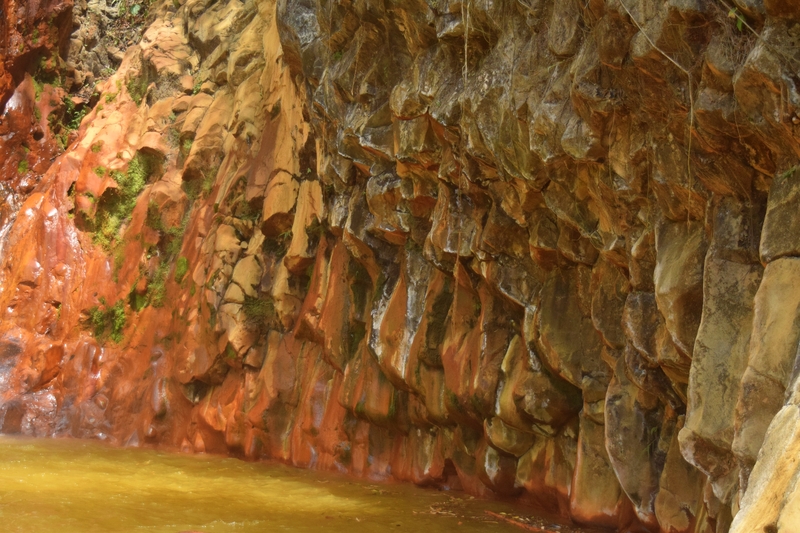 The name itself, Pulangbato Falls is indeed reddish in the shade. But when you’re attempting to look at it, you’ll soon realize that the color of the rocks is becoming orange than red maybe because of the reflection of the sunlight during our visit. The vividness of the water really caught my attention as it happens to be appearing so unique and extra special. 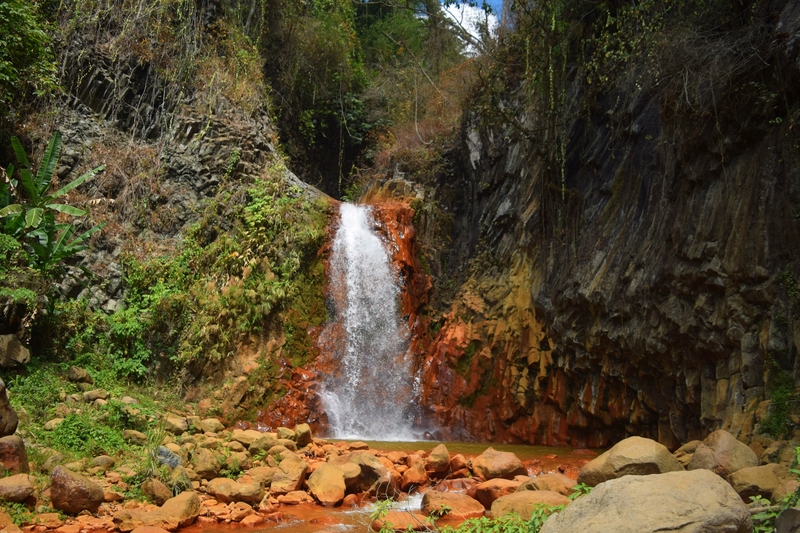 The reflection of the red rocks plays a bigger role in the beauty of Pulangbato Falls. The place exudes a feeling of communing with nature because of the grown trees and wild plants that provides dense foliage. Only after seeing the Pulangbato Falls, I didn’t know that there’s another cascade seated on the right side before reaching the Pulangbato Falls. At the first tier, the cascade begins narrowly and widens progressively as the waters flow down. Seeing it afar, the waterfalls look like triangular in form. What makes Pulangbato Falls feels unique from many other waterfalls that I’ve been to is the seemingly red river water, which caused by the presence of natural red rocks and red layered structured found in the area. The local people say that the coloration is due to the presence of sulfur in the expanse. 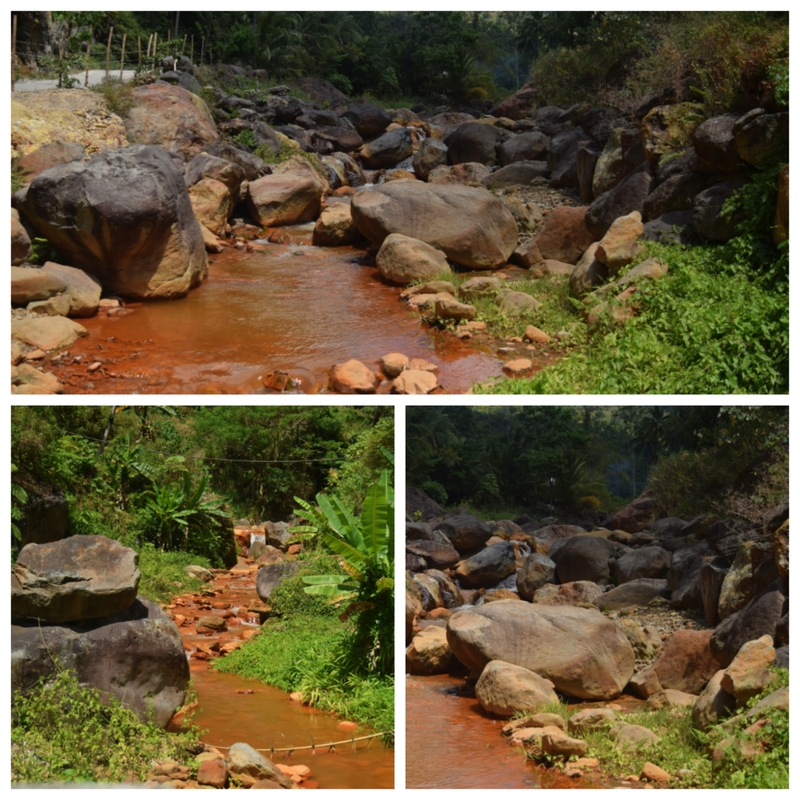 The sulfur or iron minerals have the natural reaction with water and that cause the rocks turned to red. Our driver, Kuya Rhengie told us that the rocks are yellow in color when dry and getting red when wet, isn’t it interesting? Some other thing that amazed me is when our driver told us that the citizens here are receiving free electricity because of the Geothermal Power Station operated by the Energy Development Corporation sited in the town of Valencia. It generates electricity that supplies the needs of Negros, Panay and some part of Cebu. And so I begin to wish if only I could experience the free electricity in our house, it’ll be something awesome and indeed a big savings for me. But before heading back to Dumaguete City, near the entrance of Red Rock Spring Resort has some available food to nibble, we decided to buy some so we won’t starve along our way back to Dumaguete City. I called for one girl whose in charge of collecting entrance fees if they have flyers or contact numbers on that place, but she said they don’t have one. But don’t worry, no demand to book before going here, they’re open every day. You can book a flight going to Dumaguete City, since Dumaguete City is the entry point. The minute you arrived in Dumaguete City go straight to the jeepney terminal. Ride a PUJ (Public Utility Jeep) going to Valencia.The jeepney terminal is located at the colon extension near Dumaguete Public Market. The fare is PHP24 per person. Travel time is 20-30minutes from Dumaguete City to Valencia. 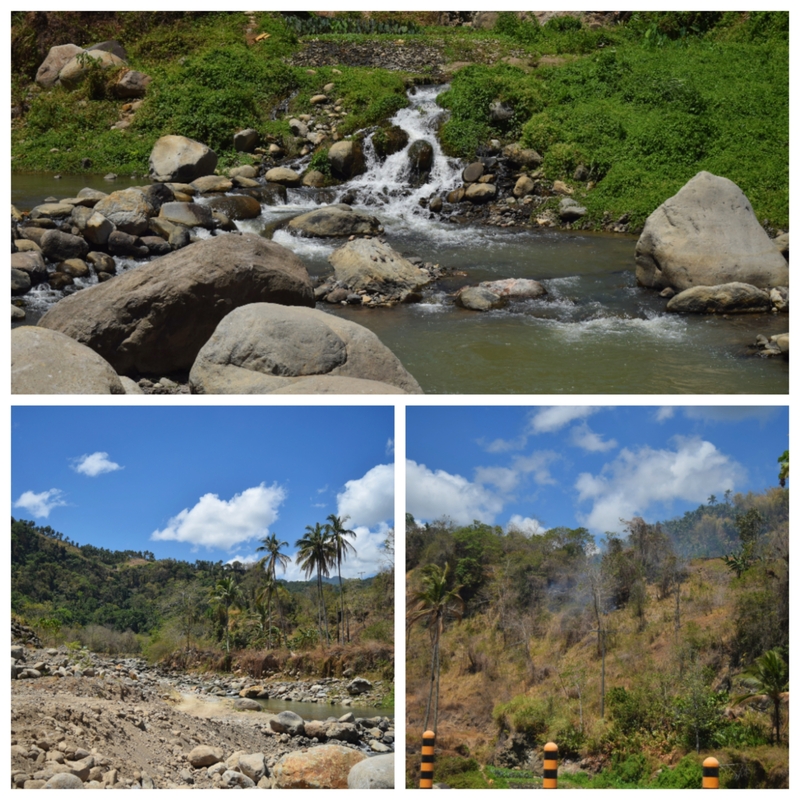 From Valencia, ride a motorcycle (Habal-Habal) going to Pulangbato Falls for PHP200 per person. Previous Post: Why you should celebrate and be happy while you’re still SINGLE. 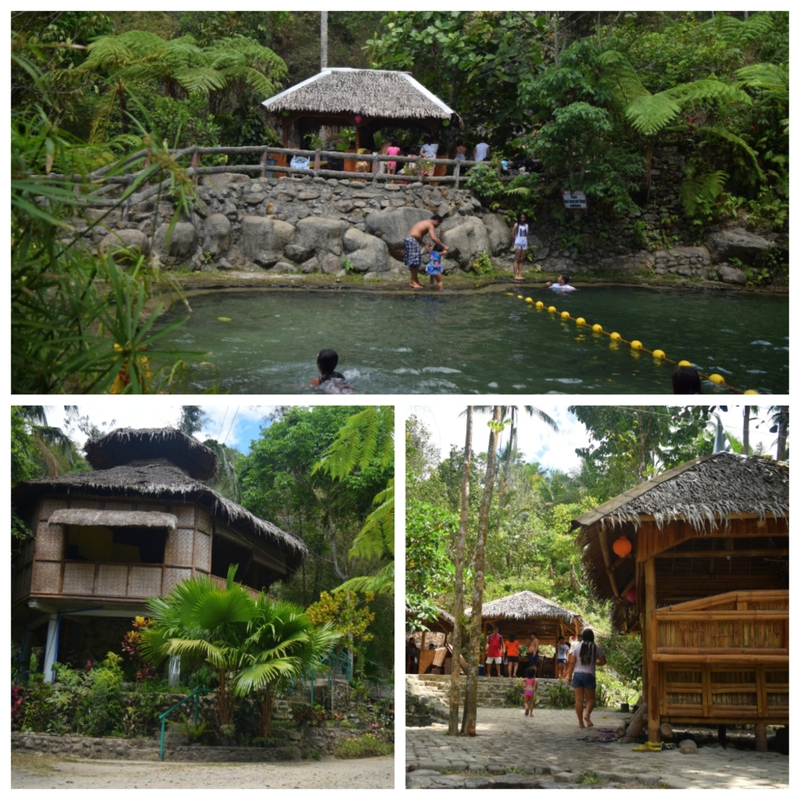 Next Post: Mantayupan Falls: Falling in love with its picturesque scenery. Thank you so much for your generous appreciation. I haven’t been to Tagaytay, but it’s penned on my bucket list. I will surely partake in my travel experiences if ever I visited Tagaytay. Thank you so much for dropping by and commenting on my blog as well. I’ll visit your blog for sure. Experience a great day ahead mate. It looks an enchanting place! Thank you for dropping by, you said it in good order. It’s indeed an enchanting spot. Have a great day ahead. As always, the Philippines and your photo’s show me where I want to be. Nice waterfalls! The red rocks are very interesting. youve got a good eye for captivating views…and colourful! Just let me know, if you want to travel to our country. I will be happy to help you and tour you around. Yeah, the rocks are interesting just like your wonderful adventures as well. I hope you can visit the place and I’ll be glad to read your travel experience too. Thank you so much for dropping by, you always caught my attention with that unique name you are habituating (Garfield. Anyways, I have barely heard about this place a year ago and I was so curious how it looks like in person. I saw it and it was awe-inspiring! I hope I really bear a good eye. But the photos I have are not as beautiful as what you can find out in person. But thank you so much for the gustatory sensation. Have a great day ahead! I will someday! I will take you sailing for a tour of your beautiful country! I’ll be very happy for that. Thank you so much for your interest in visiting our country. informative and entertaining travel post! 😀 yay! You’re raining me with good remarks. I’d really appreciate it. I’ll be happy to tour you around our country if you’re here. I’m happy that you were entertained with my post. Thanks and have a great day ahead! Amazing! You added one reason from the thousand reasons why i should explore the Philippines. Really sighing here. If only i can just fly there in a snap, i will. Hahaha. Costs less too. As for the Falls, they look so pretty. Can you swim wherever you want there? Well if not – you should be! I would be really happy to help you see the beautiful scenery in my country if you’re going here. Just let me know when. I’m glad you’re interested to visit my native land. They’re blessed to take in free electricity. As for the falls, the catching basin has somehow exudes a good spot to take a dip. You can eventually swim, but the water is not that deep. Thank you so much for the overly generous comment. Eventually, I’m not getting any commission at all. It’s an honor to help my country in promoting the good scenery that we experience here. If by chance I’ll receive, it’ll be all right. Hehehehe. Have a great day ahead and enjoy your weekend! Thank you so much for always dropping by. I’d appreciate it so much. You stated it right, it’s a perfect place to cool off during summer. Hope you have a great day ahead!! Wow, you’re a Filipina? I didn’t know that not until you told me you are. I’m sure the Philippines have missed you too and your family here as well. Oo, pinay na pinay! I miss the Philippines so much. One day, uuwi ako, loooong vacation! 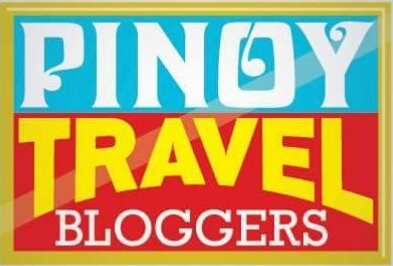 Oo nga eh, ironically i travelled a lot here in Europe, pero ang Pinas di ko pa maikot…waaah! It’s more fun inthe Philippines! I really admire your sense of adventure. You are so good in finding off the beaten path destinations. Kudos to you! 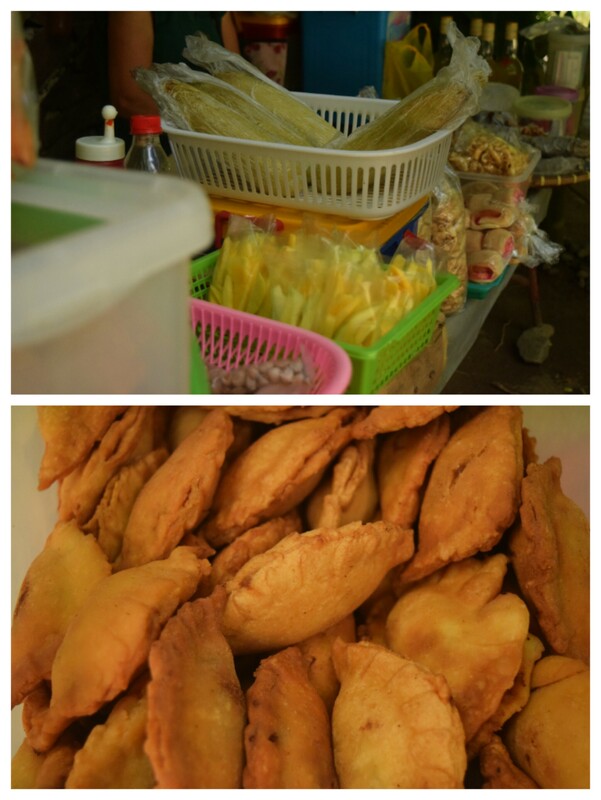 And oh, those empanadas looks tasty. Love this! Your trip sounds really awesome. Make me wish I could also visit. Maybe one day (though it’s quite far away for me). Your pictures are beautiful. I also see people swimming in the water. That must be lovely. Really impressed by the red river water as well! Thank you again for your lovely comments. You’re motivating me to continue travelling. Yeah, the Empanadas are very tasty. You’ll eventually won’t regret if you travel to this spot. Anyway, you can always plan ahead and hopefully you can see this place. Thank you so much for your wonderful comments. I’d really appreciate it. Ganda ng write-up, Lai. I hope you don’t get offended if I say I see a lot of similarities sa writing sa writing styles natin. Pulangbato Falls is now added to my bucket list. Thank you for this 🙂 Am always looking forward in your next adventures! I am a huge fan of waterfalls and never get tired of looking at waterfall photos. I agree that it looks more orange than red 🙂 I love some of the interesting facts like how the citizens receive free electricity. That’s so awesome! Oh! another wonderful waterfall in the Dumaguete region. What all did I miss here! your post makes me go to the Philippines again. And yes, I was wondering why the color was red, looking at the pictures. The road to get to the falls looks just as impressive as the falls themselves! I hate the smell of sulphur though, I’m not sure I could get out & climb on the mountains like you did! The falls look beautiful though, the colour of the rocks is quite unique! Wow what a beautiful place to visit. Nature at its finest. I would love to visit even ic it was just to take some gorgeous shots like these. Adding it to my bucket list! When I first saw “Valencia”, I was thinking of Valencia in Spain ha ha. But they look nothing alike. What a great day trip. It sounds like you really love waterfalls and had fun with your cousin. I liked that you included the quote at the end about taking nothing and leaving nothing behind. Too many people forget this. Pulangbato falls look enchanting. The unique thing is the background of the red rocks. This lends a surreal beauty to the falls as the water cascades down onto the red basin below. Again another gem that you have uncovered for us in Philippines. Ooh I’ve never heard of the Pulangbato Falls before! I love the red rocks–they make it so unique. I’m headed to the Phillippines towards the end of 2017, so I’ll definitely have to try and stop by. Love waterfalls! This place is absolutely gorgeous! I can see why its one of the most visited secluded falls. I love how you describe the breezy and tranquil environment. Feels like I’m there! I love visiting waterfalls. The Pulangbato Falls look so great! If was in the neighborhood, I would definitely visit. No doubt. The road to the falls sounds great as well. I love it when there’s a lot to see. Love the colors of the rocks. Anyone who would litter in such a beautiful spot must be very thoughtless. I love your photos of the waterfalls. They are so dramatic! The orange color in the sunlight is beautiful too! First, your pictures are excellent and tell everything about the place. I really liked that red basin, so much red it is! What’s the name of the snack in last picture? Is that Empanada? I would like to go there. What do you suggest? Should people spend a night there? Or it’s just a day trip? Aww.. so this is in Dumaguete. 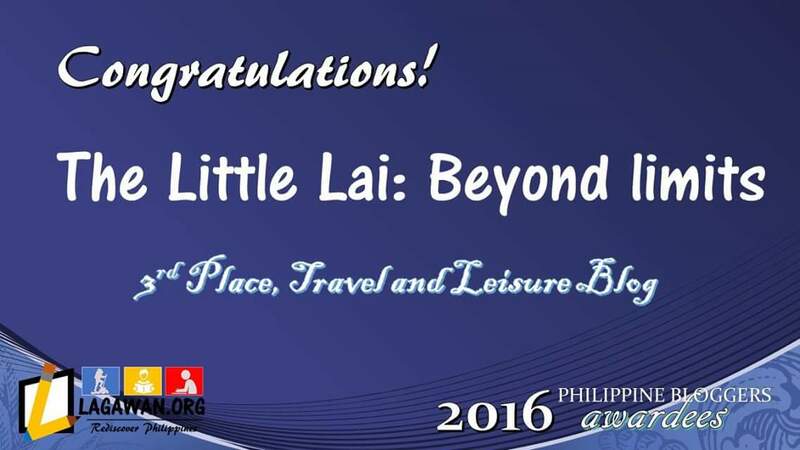 I used to read a lot of travel blogs about this place but its the first time i heard about pulangbato. It is gorgeous and amazingly wondrous. How i wish i could also visit this place. I do had a thing for waterfalls and other natural wonders. They never fail to mesmerize me everytime..
A small fall may be but definitely beautiful. Amazing colors in the scenes around. The info on the resort is really helpful. One may go with the intention of day visit but may change mind and stay back for its scenic surroundings. I love looking at waterfalls. I also enjoy hearing its sounds. Love best being underneath it as I savor its cold waters. There is always something about waterfalls that fascinates me. I think it should be a photoblog and have lots of BIG pictures that capture the wow moments. 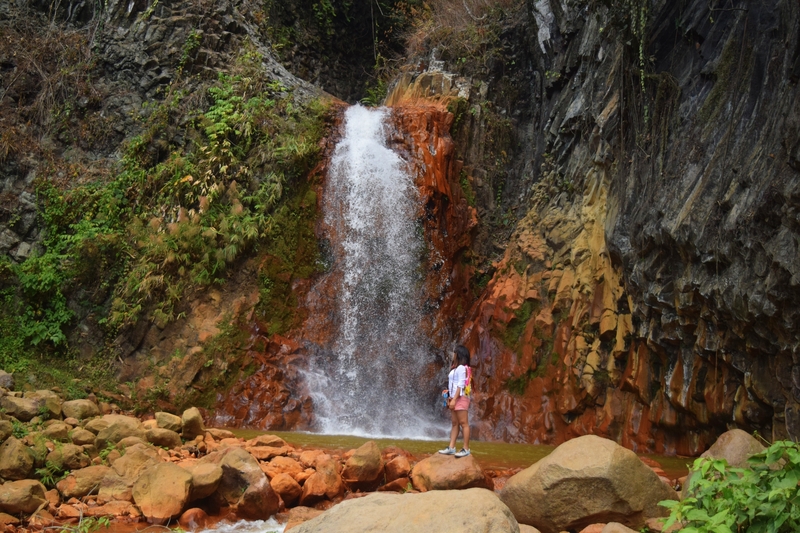 You have given a detailed description of not just the Pulangbato Falls but also the route. It is indeed a laborious exercise. A word of advice to the foreign readers- please guide us about the flights and other modes of transport as some of us do not know about Philippines. Hi there! Quick question that’s completely off topic. Do you know how to make your site mobile friendly? My weblog looks weird when browsing from my apple iphone. I’m trying to find a theme or plugin that might be able to fix this problem. If you have any suggestions, please share. With thanks!